Feel like you in the center of the action with incredible sound that flows above and around you. Helicopters buzz overhead. Cars rush by, and the roar of the crowd engulfs. With 11 built-in speakers including 2 upward-firing drivers, wireless sub, and Dolby Atmos® technology, you feel the power of multidimensional sound*. *Surround Expansion Plus upconverts audio content to up to 3.1.2 channels for a multi-dimensional sound experience. Get cinema style sound without leaving home. 11 built-in speakers including 2 upward-firing drivers and wireless sub deliver crystal clear sound that feels like it comes from all around, including above, like in the theater. Dolby Atmos® transports you into the story with moving audio that flows all around you with breathtaking realism*. Rather than being constrained to channels, sounds exist as individual entities that are precisely placed and moved in three-dimensional space – including from above – putting you in the center of the action. With 4K Pass-Through, a simple HDMI® connection delivers the best in audio and picture quality. Connect any 4K video source like a UHD Blu-ray player, through the Samsung HW-K850 to your TV for rich sound and 4K picture quality. Don’t let messy wires get between you and your entertainment. The soundbar and subwoofer connect to each other wirelessly for seamless, rich, and dynamic sound. Connect the K850 with Samsung Radiant360 Wireless Speakers (sold separately) for an even more immersive 3.1.2 surround sound experience. Play your favorite streaming services from your mobile device. Connect the K850 to the Samsung Multiroom App and Samsung Radiant360 speakers via WiFi and stream music throughout the house. Built in Bluetooth connectivity allows you to stream and play music wirelessly from Bluetooth compatible devices. * Radiant 360 speakers sold seperately. **Subscription streaming music service providers available in The Samsung Multiroom App may vary depending on your region. +Content services are provided by third parties and may be terminated without prior notice. Finding the sweet spot just got a whole lot easier. With a wide-range tweeter engineered by Samsung’s audio lab in California, you’ll get consistently great sound no matter where you sit. So even if you don’t score the best seat in the house, you won’t miss a single decibel. The HW-K850 was tuned at Samsung’s state of the art audio lab in Valencia, California. Home to a team of world class audio engineers with 300 years of combined experience, the facility features one of the world’s most advanced audio testing labs. Get the most out of every feature. Help with any issues, big or small. Total amount of power a home theater system emits through an external speakers, as measured in watts (w). Audio format from Digital Theater Systems (DTS) that provides 5.1 channel surround sound. Number, size, and type of bass speaker designed to be positioned in the middle of the front wall. Number, size, and type of speakers designed to envelop viewers from the sides, two feet above the ears. Terminals on a home theater system that accept sound from other components. Jacks that accept High Definition Multimedia Interface (industry standard for HD) from other components. Jacks that accept digital audio and video fiber connections from other components without interference. 47.6" x 3.2" x 5.1"
50.1" x 23.2" x 10.2"
The width, height and depth of the sub woofer speaker, as measured in inches (in.). 8.0" x 15.7" x 16.3"
The weight of the sub woofer speaker, as measured in pounds (lbs.). 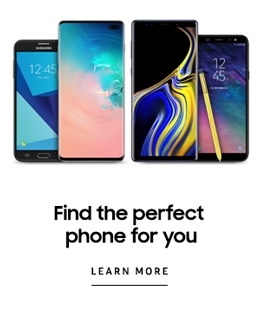 Promotion Details (T&C): Samsung is not responsible for misdirected or lost orders, or orders which may be delayed in processing until after the promotion period has ended. 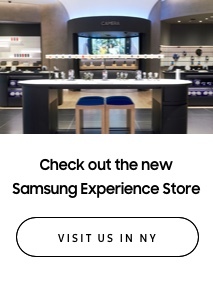 Samsung reserves the right to modify or cancel this promotion at any time, without prior notice.